As caregivers, you often get the opportunity to speak up for your loved-one, but we are asking you to take time to speak up for yourself! Keeping elected officials informed about family caregiving resources, programs, and their impact on your daily life is vital to maintaining funding for those services. The Purple Ribbon Task Force was created by the Florida Legislature and is administratively housed within the Department of Elder Affairs. It is tasked with developing a comprehensive state plan to address the needs of individuals with Alzheimer’s Disease and related dementias and their caregivers. The task force consists of 18 members appointed by the Governor, President of the Florida Senate, and Speaker of the Florida House of Representatives. 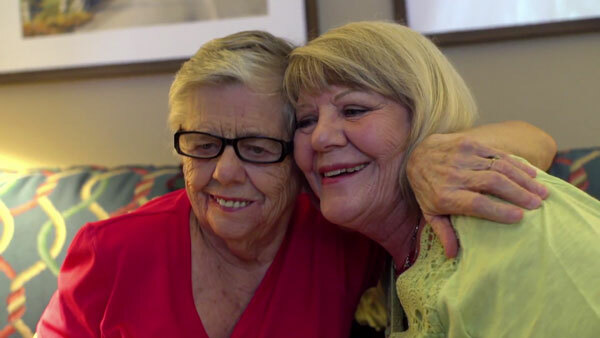 Each Legislative Session, Share the Care coordinates a trip to Tallahassee so family caregivers can meet elected officials and educate them on issues important to caregiving and respite care. Caregivers meet at the Share the Care Headquarters and ride a bus together to the Capitol for a day of meetings. The group wears special “I Care” t-shirts to make a greater group presence. This trip is invaluable to advocating for caregiving resources and it provides family caregivers a chance to be heard by elected officials. For more information about the Caregiver Cabinet, visit our Events Section or call our office at 407-423-5311. Thank you to caregivers for a successful 2016 Caregiver Cabinet. Click here to see pictures on Facebook.